NSCore, Inc., a leading provider of non-volatile memory (NVM) intellectual property (IP), has announced that the cumulative shipment equipped with its PermSRAM non-volatile memory IP has exceeded the 55 million pieces threshold. American Nano Silicon Technologies, Inc., a leading manufacturer and distributor of micro nano silicon based products, announced today that the Company has applied in China for a national patent for their new concrete enforcement and accelerator agent. IQE plc, a leading global supplier of advanced semiconductor epitaxial wafer products and wafer services to the semiconductor industry, is pleased to announce that NanoGaN Limited, a wholly owned subsidiary of IQE, has been granted two separate patents in relation to its nanocolumn technology for the production of advanced blue and green lasers and LEDs. Altair Nanotechnologies, Inc. today announced it had signed a Memorandum of Understanding with the Hawai'i Natural Energy Institute (HNEI) of the University of Hawai'i and the Hawai'i Electric Light Company to supply a one-megawatt ALTI-ESS energy storage system for a test of wind energy integration. SmartChip System provides accurate, highly sensitive, high-throughput gene expression profiling capabilities. Diamon-Fusion International, Inc. (DFI Nanotechnology), global developer and exclusive licensor of patented hydrophobic nanotechnologies, has partnered up with MTN Sciencentre through its Exclusive Distributor and Licensee DewPoint Products in Cape Town, South Africa in an effort to help children understand the use of nanotechnology and its benefits in the world. Noliac A/S acquires Siemens' Piezo Actuator Drive (PAD) technology. Providing a reliable, low cost solution for high throughput production monitoring of film thickness, refractive index and stress. GTC 2010 speakers from AMD and STMicroelectronics to highlight key trends and issues driving continued advanced technology design innovation. The collaboration will enable mutual customers to differentiate their 28-nm designs with a high-quality IP portfolio targeted at next-generation electronic system-on-chips (SoCs). Diamon-Fusion International, Inc., global developer and exclusive licensor of patented hydrophobic nanotechnologies, announced today the completion of the world's first all-glass vapor chamber, constructed by DFI's licensee Blinds Aluminum and Glass, Ltd. 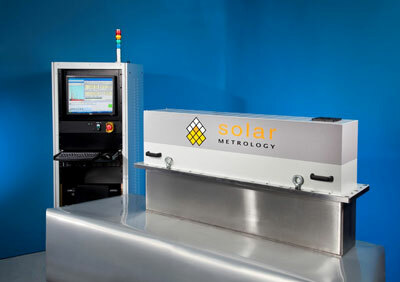 Solar Metrology, a global provider of X-Ray Fluorescence (XRF) analysis tools, expands its SMX XRF tool portfolio for film composition and thickness measurement of CIGS photovoltaic depositions with the addition of the System SMX- LINEAR ISI. Silvaco, Inc., a leading provider of TCAD and EDA software, today announced that United Microelectronics Corporation, a leading global semiconductor foundry, has completed qualifying Silvaco's Process Design Kit (PDK) for UMC's 0.35um CDMOS 3.3V 5V 12V 18V 30V 40V multi-operation voltage process. To reduce the use of fossil fuels and meet the growing demand for hybrid and electric vehicles, DuPont has introduced the first nanofiber-based polymeric battery separator that boosts the performance and safety of lithium ion batteries. Large purchase order for multiple CRIUS II and AIX G5 Planetary Reactor systems. Spectrophotometers and the spectroscopy industry have evolved over the course of time and as they evolved so has the technology for calibrating the equipment. Fireflysci's revolutionary calibration standards are changing the way researchers and scientists are calibrating their spectrophotometers. Buying one calibration kit (Kit1) from Fireflysci.com will replace all liquid calibration reference standards in your laboratory.